KEEP an eye out for turtles on the road. That's the message a motorist from Junction View wished other drivers would heed, after he rescued 30 turtles from a busy road. 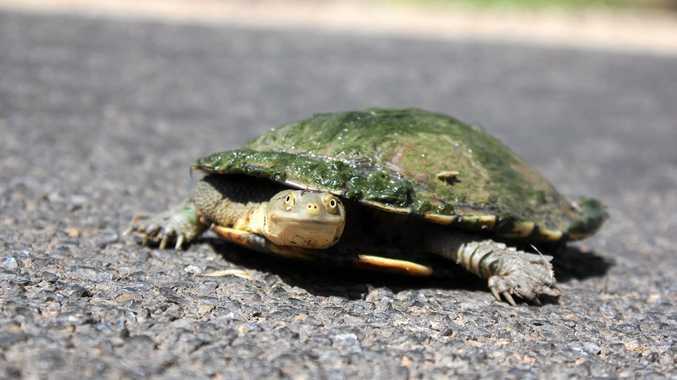 Odin Odell was en route home from work when he discovered nearly 50 turtles crossing where Western Drive intersects with Tenthill Creek Rd from the direction of what remains of Lake Apex. "On the way home I came to that intersection again and there were turtles everywhere," he said. Mr Odell was unable to save all of the turtles, arriving on the scene to discover between 10 and 15 turtles already killed by traffic. "There's people running them over and they're getting squashed and injured." He pulled over and loaded up the back of his ute. "So I just started picking up turtles," he said. But there were more than he count keep track of. "Every time I turned around there was another turtle coming up the grassy hill trying to get onto the road and cross." Mr Odell said he'd driven that route for ten years and, during the time, he'd rescued eight additional turtles but never before had he seen so many at once. "They've been fleeing all over the valley all week because all the dams have gone dry," he said. "And what I'm assuming is happening is the water is turning toxic because of all the manure in it. They're trying to flee to somewhere with fresh water." 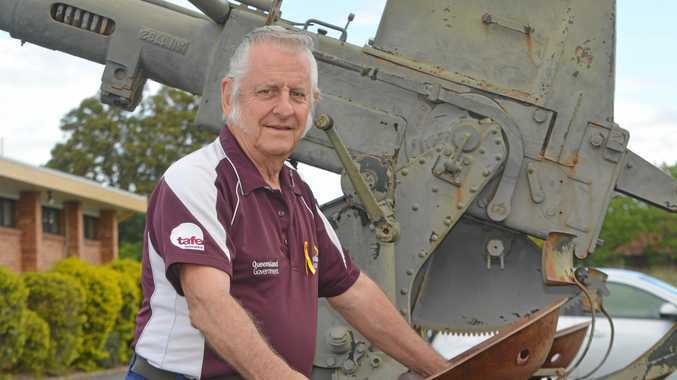 Mr Odell said he'd been rescuing native animals for many years, saying he liked Aussie wildlife. In spite of his experience, the situation with the turtles of Lake Apex left him stumped as far as a solution was concerned. "Some water in Lake Apex would be handy but that's a pretty big ask for a dry community," he said. "There's not a lot that can be done, all we can do is try to find somewhere to put them." In regards to other drivers, he held no animosity. "They're doing what they're meant to do; they're watching for oncoming traffic."